In Mylan v. Aurobindo the Federal Circuit affirms the grant of a preliminary injunction based upon the infringement of US 9,353,050 which is the one of the three patents in suit. the product Isosulfan blue (ISB)developed by Hirsch Industries as a 1% injectable solution which was commercialized under the trade name Lymphazurin. However, the production of ISB had been plagued by difficulties in synthesizing and purifying ISB. The analysis of Hirsch’s ISB revelas that it contains 94.5% ISB as determined by HPLC, with the remaining 5.5% consisting of “closely related isomers” produced during synthesis. For 26 years following the Food and Drug Administration’s(“FDA”) approval of ISB, Sigma-Aldrich Corp supplied Hirsch and its successors with ISB that was manufactured by Allied Chemical Corp. (“Allied”). Allied’s manufacturing process was unknown, but analysis of its ISB indicated the presence of lead, which suggested the use of a lead compound in synthesis. Sigma developed an isolation process to remove the unwanted lead, but the ultimate purity of the ISB it sold was unknown. In 2000, Allied stopped supplying Sigma with ISB and, while Sigma was looking for a new supplier, Covidien was forced to notify its customers that it was “completely out of” Lymphazurin® until it could find a new supplier for ISB. By 2008, Sigma had a new supplier, Innovassynth, which synthesized ISB using ammonium dichromate, resulting in residual chromium impurities. Sigma reported numerous problems with the purity of Innovassynth’s product and eventually developed its own manufacturing process for ISB sometime around 2010. Aurobindo sought FDA approval for a generic Lymphazurin®, informing the FDA that it had studied a “number of patents” describing ISB manufacture and selected, inter alia, Apicore’s U.S. Patent 7,662,992 , and that it “considered the process described [therein] for the initial sample preparation and further, the optimization of the process.” Id. (internal quotation marks omitted). Aurobindo acknowledged to the FDA that it was looking for a reagent “other than silver oxide.” Id. (internal quotation marks omitted). It eventually selected manganese dioxide, and its process resulted in ISB with a 5–10% impurity which could not be removed by recrystallization. Instead, it used preparatory HPLC to achieve an ISB purity of greater than 99.5%. Mylan sued Aurobindo for infringement and sought a preliminary injunction, which the district court granted. Apicore was founded in 2003 and began developing an improved process for synthesizing ISB. In 2004, Apicore partnered with Synerx Pharma LLC (“Synerx”), Mylan Inst.’s predecessor, to develop and market a generic version of Lymphazurin®. In 2007, Apicore filed a patent application that ultimately led to the process and ’050 patents. Based on the claimed process, Synerx (acquired by Mylan Inst. in 2012) filed an abbreviated new drug application (“ANDA”) seeking FDA approval to market a generic Lymphazurin®; the FDA approved the ANDA in 2010. By 2011, ISB sales were a significant portion of Apicore’s revenue and in 2012, Covidien withdrew Lymphazurin® from the market for “reasons other than safety or effectiveness.” Mylan Inst. became the sole supplier of the 1% ISB drug product until 2016, when Aurobindo entered the market. Apicore owns, and Mylan Inst. is the exclusive licensee of, the ’992, ’616, and ’050 patents, which relate to ISB, a triarylmethane dye used to map lymph nodes. The ’992 and ’616 patents (together, “the process patents”) are directed to a process for preparing ISB by reacting isoleuco acid with silver oxide in a polar solvent, followed by reaction with a sodium solution. See, e.g., ’992 patent col. The ’992 patent further requires 2.0–3.0 equivalents of silver oxide. The district court evaluated the likelihood of success on the merits and found that Aurobindo likely infringed the process patents under the doctrine of equivalents. The district court found that the difference in oxidation strength between silver oxide and manganese dioxide is “irrelevant” under both the “function-way-result” (“FWR”) and “insubstantial differences” tests for equivalence, as applied to the “face of the claims,” because the claims do not specify a requirement of oxidation strength. The district court also rejected Aurobindo’s obviousness argument, finding that Aurobindo did not raise a substantial question regarding motivation to combine the references or a reasonable expectation of success. Aurobindo appeals the district court’s grant of a preliminary injunction. The circuit reverses the district court’s grant of the preliminary injunction against the process patents by stating that Manganese dioxide and silver oxide are substantially different in many respects. For example, manganese and silver are in different groups of the Periodic Table. In oxide form, manganese has an oxidation state of +4, while silver is +1. Those differences may well be relevant to equivalence at trial. Thus, the choice of test under the doctrine of equivalents may matter in this case. With respect to US ‘050 patent Aurobindo argues that the claims of US ‘050 are anticipated by Sigma’s ISB product because a Sigma Certificate of Analysis shows that Sigma made and sold ISB with a purity of 100% six years before the relevant date of the ’050 patent. Furthermore, Aurobindo argues that the ’050 patent would have been obvious over Lymphazurin® itself because the prior art taught the use of HPLC and other conventional purification techniques for purifying ISB. Finally, Aurobindo argues that the ’050 patent is invalid because the limitation “having a purity of at least 99.0% by HPLC” is indefinite. Aurobindo contends that different HPLC parameters will produce different results in a purity analysis and thus, because the claims do not specify HPLC parameters, they are indefinite. Mylan responds that the district court’s findings regarding a lack of a substantial question of validity due to anticipation, obviousness, and indefiniteness were not clearly erroneous. The circuit stated that “a purified compound is not always prima facie obvious over the [prior art] mixture” if the process to arrive at the purified compound is itself of patentable weight. Moreover, if the prior art teaches a mixture containing a compound but does not enable its purification, then the purified form of the compound may not have been obvious over the prior art mixture. Finally the circuit stated that it found no error in the district court’s analysis and granted preliminary injunction by premising it only on the ’050 patent. Apixaban is a Factor Xa inhibitor developed by BMS which received FDA approval in December 2012, marketed under the brand name ELIQUIS. The drug is patented generically and specifically. The following table represents the OB status for Apixaban. NCE is set to expire on Dec 28, 2017. Publication date: Jul 6, 2000 (PCT of US ‘980) Dec 22, 2019 Claims Apixaban generically Must be P-III with respect to this patent, as this patent is expiring in 2019. Priority: Sep 21, 2001 December 28, 2026 (including PTE request) Claims Apixaban Specifically Coalition For Affordable Drugs has challenged this patent at PTAB via an IPR, the trial got denied by PTAB. There are total 24 DMF’s available for Apixaban. 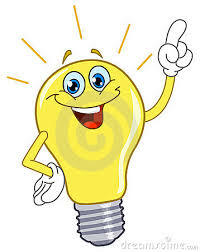 Are you looking for an Intellectual property rights tutor?????? Dial 7997874850 for intellectual property rights (patents) home tuition in Hyderabad (preferably) or drop a mail to Satrashala.nishanth@gmail.com. Fees negotiable for students. A big blow for Anacor as its two patents got invalidated by PTAB. Anacor hold patent rights on its oxaborole antifungal drug Tavaborole which got approved by FDA in 2014. (KERYDIN SOLUTION 5%). Tavaborole was patented as a product in US 5,880,188 A which had expired. The drug was later licensed to Anacor, which initiated the trails and succeded to bring the drug into the market. Coalition For Affordable Drugs has filed IPR petitions for US 7,582,621 B2 (IPR2015-01776) and US 7,767,657 B2 (IPR2015-01785). us ‘621 claims a method of treating onychomycosis in a human, said method comprising administering to the human a therapeutically effective amount of 1,3-dihydro-5-fluoro-1-hydroxy-2,1-benzoxaborole, or a pharmaceutically acceptable salt thereof, sufficient to treat said onychomycosis. wherein said pharmaceutical formulation is for topical administration to an animal suffering from an infection by a microorganism. Austin relates to various oxaborole derivatives and their use as fungicides for the protection of plastic materials. Austin specifically claims Tavaborole. Along with a number of different preferred oxaboroles, Austin discloses tavaborole as Example 64, as well as the results of a study showing tavaborole has effective antifungal activity against five different fungi: Aspergillus niger, Aureobasidium pullulans, Candida albicans (“C. albicans”), Gliocladium roseum, and Penicillium pinophylum. Brehove relates to the topical treatment of nail infections such as onychomycosis caused by bacteria, fungi, and other pathogens. Brehove explains that onychomycosis is a nail disease typically caused by C. albicans, Trichophyton mentagrophytes, Trichophyton rubrum (“T. rubrum”), or Epidermpophyton floccusum. Freeman discloses phenylboronic acid (PBA) and related boronic acid compounds that are used for treating fungal infections such as onychomycosis. Freeman identifies T. rubrum as one of the most common dermatophyte causes of onychomycosis. Freeman also identifies non-dermatophytes, “especially Candida Sp.,” as another cause of onychomycosis. Chaudhuri is directed to topical formulations for treating nail fungal diseases. Chaudhuri states that treating onychomycosis can be difficult and that it would be advantageous to have a topical formulation capable of penetrating the nail barrier and treating nail fungal diseases. In particular, Chaudhuri provides an example containing 5–20% weight propylene glycol, 20–80% weight ethanol, and 0.5 to 15% weight antifungal. Id. at 8:57–9:10. Samour describes a nail lacquer formulation that is effective for the treatment or prevention of fungal infections, such as onychomycosis. Samour teaches that an effective amount of active antifungal agent preferably ranges from 1 to 10% by weight of the composition. Friedman describes a topical sustained release composition for delivery of antifungal agents to nails. Friedman describes a number of methacrylic polymers for use as a film-forming polymer and describes plasticizers, such as dibutyl sebacate, with a preferable weight ratio of plasticizer to polymer of about 0.4:1 to about 0.3:1. Atlas describes the use of hydrogel polymers as excellent carriers for the release of drugs. Shapiro describes antifungal compounds for treating fungal infections. Shapiro teaches that its antifungal compounds are effective against fungi including Trichophyton rubrum, Trichophyton mentagrophytes, Trichophyton verrucosum, and Microsporum gypseum. Having considered the parties’ arguments and evidence, PTAB has evaluated all of the evidence together to make a final determination of obviousness and concluded that the petitioner has shown by a preponderance of the evidence that claims of US ‘621 and US ‘657 are unpatentable as obvious over the cited references. Anacor may file an appeal to CAFC. Bayer Healthcare received US FDA approval on September 27, 2012 to market Regorafenib for the treatment of metastatic colorectal cancer (CRC) which is marketed under the brand name STIVARGA. Regorafenib is patented generically in US 7,351,834, this patent is listed in OB for STIVARGA. US ‘834 is set to expire in January 2020. The closest analogs to Regorafenib were specifically enabled in this patent. Regorafenib is specifically claimed in US 8,637,553 B2 which is set to expire in February 2031 and it claim the priority as 23 Jul 2003. Riedl et al., WO 00/42012 A1 (PCT equivalent of US 7,351,834), published July 20, 2000- this application discloses structurally closest analogs of Regorafenib including Sorafenib. Aherne et al.,Finding the needle in the haystack: why high-throughput screening is good for your health, 4(4) BREAST CANCER RES. 148–154, © 2002- this paper states that high-throughput screening is an essential component of the toolbox of modern technologies that improve speed and efficiency in contemporary cancer drug development and presents examples of successful drug discovery programmes based on high-throughput screening . . . which offer potential in the treatment of breast cancer and other malignancies. Park et al., Metabolism of Fluorine-Containing Drugs, 41 ANN. REV. PHARMACOL. TOXICOL, 443–70,© 2001 Annual Reviews-this paper discussed the potential benefits of fluorination. The above structure depicts the structure of Sorafenib and its analog. Riedl also discloses the synthesis of the said compounds. The difference between the Regorafenib and the prior art compounds is a single halogen substitution which derives Regorafenib. The petitioner considered Riedl as the closest prior art and argued that Riedl inherently discloses single substitutions of chlorine at both the 3 and 2 positions of Sorafenib. The board commented that the Examiner repeatedly considered Riedl during prosecution, determined that Riedl was the closest prior art to the invention claimed, and expressly allowed the challenged claims over the Riedl reference and the board decline to institute trial with respect to Riedl as the Ground I. The board further stated that the genus relied on by Petitioner, having “‘eight individual chemical compounds possible when substituting a halogen”—F, Cl, Br, or I—at position 2/2’ or 3/3’ of the central ring of Sorafenib, does not exist in Riedl, and only results from Petitioner’s improper picking and choosing disparate aspects of the disclosure. The board further stated that the petitioner “merely assumes—without explanation—that the POSA would select Sorafenib for modification.” Neither Petitioner nor Petitioner’s expert address why a skilled artisan reading Riedl would select that compound for further development. The petitioner also argued that the claims 1-16 are rendered obvious by the combination of Riedl with the other prior art cited. However, the board has declined the arguments and ordered to deny the IPR. Apotex inc has filed an IPR2017-00854 challenging the validity of Novartis US patent 9,187,405 B2, which claims method for treating Relapsing-Remitting multiple sclerosis using Fingolimod. US ‘405 (US 14/257,342) was issued to Novartis on Nov 17, 2015 and is set to expire on Jun 25, 2027. US ‘405 listed in Orange Book for Fingolimod. Fingolimod discovered by Mitsubishi Pharma Corporation; Taito and licensed to Novartis for the further development. a method for reducing or preventing or alleviating relapses in Relapsing-Remitting multiple sclerosis in a subject in need thereof, comprising orally administering to said subject 2-amino-2-[2-(4-octylphenyl)ethyl]propane-1,3-diol, in free form or in a pharmaceutically acceptable salt form, at a daily dosage of 0.5 mg, absent an immediately preceding loading dose regimen. Also claims (claim 3) a method for treating Relapsing-Remitting multiple sclerosis in a subject in need thereof, comprising orally administering to said subject 2-amino-2-[2-(4-octylphenyl)ethyl]propane-1,3-diol, in free form or in a pharmaceutically acceptable salt form, at a daily dosage of 0.5 mg, absent an immediately preceding loading dose regimen. Also claims (claim 5) a method for slowing progression of Relapsing-Remitting multiple sclerosis in a subject in need thereof, comprising orally administering to said subject 2-amino-2-[2-(4-octylphenyl)ethyl]propane-1,3-diol, in free form or in a pharmaceutically acceptable salt form, at a daily dosage of 0.5 mg, absent an immediately preceding loading dose regimen. US ’405 claims priority as June 27, 2006 (GB 0612721.1), the application in US has been filed on June 25, 2007, which is the filing date of PCT/EP2007/005597. As per 35 U.S.C. § 102(b) the effective filing date of US ‘405 is June 25, 2007 . Kovarik WO 2006/058316 filed by Novartis which was published on June 1, 2006, WO ‘316 teaches daily oral dosage regimens of Fingolimod hydrochloride (FTY720) for the treatment of “autoimmune diseases, e.g. multiple sclerosis,” and for preventing organ rejection, it further teaches that the standard daily (maintenance) dosage of 0.5 mg FTY720 may be administered for the treatment of multiple sclerosis and that the lo ading dose regimen allows for a steady-state concentration of FTY720 to be achieved in less than one week. U.S. Patent No. 6,004,565 to Chiba-US ‘565 teaches that FTY720, fingolimod hydrochloride, suppresses the immune response of mammals through accelerated lymphocyte homing and is useful for the treatment of MS. It further teaches oral administration of FTY720 in a 0.01-10 mg daily oral dose. Kappos, etal. JOURNAL OF NEUROLOGY 252(Suppl 2): 11/41, Abstract O141 (2005)–This paper discloses the results of a Phase II randomized, double-blind, placebo-controlled study sponsored by Novartis Pharma AG Basel. The trial evaluated the efficacy of daily oral doses of FTY720 for the treatment of relapsing multiple sclerosis patients. NEW ENGLAND JOURNAL OF MEDICINE, 362(5):387-401 (2010)- According to the petitioner the claims recite that 0.5 mg Fingolimod is administered “absent an immediately preceding loading dose regimen.” This negative claim limitation first appeared in the ’342 application in a preliminary amendment submitted August 18, 2014. The originally filed ’342 application, the resulting ’405 patent, and each of the priority documents on which the ’342 relies, are otherwise silent on whether or not to use a loading dose regimen. Although the negative limitation was also added to the claims in the related ’468 application, this occurred after its 2011 filing date. This paper teaches that, as compared to placebo, daily oral doses of 0.5 mg FTY720 significantly reduced rates of relapse, progression of clinical disability, and MRI evidence of inflammatory lesion activity and tissue destruction. Apotex has made his arguments to show how the claimed invention is obvious over the cited prior art alone and in combination with each other. Apart from this IPR; Apotex is also in litigation (ANDA) with Novartis which is pending. Argentum Pharmaceuticals has filed an Inter Partes Review petition IPR2017-00807 against Cipla’s United States Patent No.8,168,620 B2 (US ‘620). US ‘620 claims a pharmaceutical formulation comprising Azelastine and fluticasone propionate . A pharmaceutical formulation comprising: Azelastine, or a pharmaceutically acceptable salt thereof, and a pharmaceutically acceptable ester of Fluticasone, wherein said pharmaceutical formulation is in a dosage form suitable for nasal administration. A pharmaceutical formulation comprising Azelastine hydrochloride; and, Fluticasone propionate, wherein said formulation is in the dosage form of a nasal spray, and wherein said formulation is used in the treatment of conditions for which administration of one or more anti-histamine and/or one or more steroid is indicated. A nasal spray formulation comprising (i) Azelastine, or a pharmaceutically acceptable salt thereof, (ii) a pharmaceutically acceptable ester of fluticasone, and (iii) a pharmaceutically acceptable carrier or excipient therefor. US ‘620 is listed in Orange Book for DYMISTA®, a nasal spray incorporating fluticasone propionate (a corticosteroid), and azelastine (an antihistamine) which is marketed by Meda Pharmaceuticals Inc.
Meda has the exclusive license to US ‘620 and is set to expire in February 2026 (including 987 days of PTA). Cited Flonase® Label which describes a nasal spray containing an aqueous suspension of “microfine” particles of fluticasone propionate at a concentration of 0.5% w/w.The suspension also contains microcrystalline cellulose and carboxymethylcellulose sodium, dextrose, 0.02% w/w benzalkonium chloride, polysorbate 80, and 0.25% w/w phenylethyl alcohol. Cited PCT Publication No. WO 98/48839 (“Segal”) which describes a coformulated nasal spray containing both Azelastine and Fluticasone. The petitioner also argued that the priority application GB 0213739.6 lacks written description and does not demonstrate possession of the genus “pharmaceutically acceptable ester of fluticasone.” GB 0213739.6 provides no additional examples, no qualitative guidance, no definition, no test, and no structure-function relationship for what it considered “pharmaceutically acceptable” esters of fluticasone. Further, the petitioner has made his arguments and shown how the claimed invention will be obvious to a POSA describing and comparing each and every element of the challenged claims with the cited prior art. Within 3 months Cipla may file preliminary response to the said IPR petition. Meda Pharms has sued Apotex Inc,Teva Pharms and Perrigo UK Finco Ltd under the infringement of US ‘620 for filing ANDA’s to market a generic version of Meda’s DYMISTA®drug product—before expiration of US ‘620. United States District Court For The District Of Delaware has issued a memorandum opinion in favour of Astrazeneca, which states that Saxagliptin product patent is not invalid due to obviousness. Saxagliptin(BMS-477118) is a once-daily, oral CD26 antigen (dipeptidyl peptidase IV, DPP IV) inhibitor discovered by Bristol-Myers Squibb and patented through USRE44186 E1 (reissue of 6,395,767). Saxagliptin was developed by Bristol-Myers Squibb in collaboration with AstraZeneca for the treatment of type 2 diabetes mellitus (T2DM). However, AstraZeneca subsequently acquired all rights to the drug from Bristol-Meyers Squibb. FDA approved Saxagliptin hydrochloride (N022350)tablets 2.5mg and 5mg on Jul 31, 2009, which is marketed by Astrazeneca under the trade name ONGLYZA. FDA also approved Saxagliptin hydrochloride and Metformin hydrochloride combination (N200678) on November 5, 2010, which is also marketed by Astrazeneca under the trade name KOMBIGLYZE XR. US RE44186 is listed in Orange Book for ONGLYZA and KOMBIGLYZE, US ‘186 claims Saxagliptin and its salts including hydrochloride salt, US ‘186 is set to expire in July 2023 including PTE. On July 31, 2013 ANDA with a paragraph IV certification has been filed to market generic version of ONGLYZA and KOMBIGLYZE XR. In 2014 Astrazeneca sued several generic companies such as Aurobindo, Wockhardt, Watson, Actavis, Sun Pharma, Mylan, Amneal under the patent infringment of US ‘186, US 7,951,400 and US 8,628,799. Stipulations were filed and all the claims concerning the ‘400 and ‘799 patents (formulation patents) were dismissed. All the lawsuits were consolidated and a three-day bench trial in this matter has been held on September 19 through September 21, 2016. Defendants stipulated to infringement of all asserted claims. Thus, the sole issue is defendants obviousness defense with respect to the RE’186 patent. The defendants has argued that the RE’186 patent is obvious in light of the prior art and the asserted claims of the RE’186 patent are valid under 35 U.S.C.§ 103. 35 U.S.C.§ 103 states that a patent may not be obtained thought the invention is not identically disclosed as set forth in section 102, if the differences between the claimed invention and the prior art are such that the claimed invention as a whole would have been obvious before the effective filing date of the claimed invention to a person having ordinary skill in the art to which said subject matter pertains. 3) a person of ordinary skill in the art would have added a cyclopropyl ring. Vildagliptin is claimed as a product in US 6,166,063 B2 which claims the priority date as December 10, 1998, the publication date of its PCT equivalent WO 2000/034241 A1 is June 15, 2000, whereas the US RE’186 claims the priority date as Mar 10, 2000. The major differences between the two moieties are highlighted in red colour. (3) primary amines were generally more potent than secondary amines. Specifically, the defendants relies on the teachings of Mentlein and Ashworth I. Mentlein disclosed that natural substrates of DPP4 enzymes are peptides with primary amines at N-terminus. Ashworth I taught that the most potent, reversible DPP4 inhibitors were primary amines. AstraZeneca responds that there was no such motivation and no reasonable expectation of success in making this modification. The court found that Dr. Powers failed to show a motivation to move the hydroxadamantyl group of his lead compound with any reasonable expectation of success (cited Medichem, S.A. v. Rolablo). The court also stated that Dr. Powers failed to explain why a POSA would introduce the problem of instability into a DPP4 inhibitor by moving from N-linkage to C-linkage and then adding a cyclopropyl group to solve the newly created stability problem. The combination of “several sequential modifications” is not obvious where there is no reason in the prior art to make the subsequent modification (cited Pfizer Inc., v. Mylan Pharm. Inc) and also stated that the defendants has not shown a motivation to try cyclopropanation. AstraZeneca highlighted that there were no data available to show the effect of cyclopropanation on the stability of a DPP4 inhibitor, because no one other than the inventors proposed cycloproponation in the context of DPP4 inhibitors. After the above arguments of the both the parties the court has stated that the defendants failed to present a primafacie case that the asserted claims of the patent-in-suit are invalid as obvious. The court further denies AstraZeneca’s request for an award of attorney’s fees. Apart from ANDA litigations there are several IPR’s filed by pharma companies such as Mylan, Wockhardt, Amnea, Aurobindo and Teva challenging the validity of US RE44186. PTAB has ordered to institute the IPR’s. The District Court Of Delaware has ordered in favour of Amneal Pharmaceuticals LLC, and stated that Amneal’s product (generic Mometasone furoate nasal spray) does not infringe Merck Sharp’s US 6,127,353 which is listed in Orange book for Nasonex. Amneal filed ANDA 207989 to produce and market a generic Mometasone furoate nasal spray; On March 20, 2015 Merck sued Amneal alleging infringement of US 6,127,353. US ‘353 claims Mometasone furoate monohydrate and composition comprising Mometasone furoate monohydrate. Amneal’s ANDA contains MFA (Anhydrous Mometasone furoate) as the active pharmaceutical ingredient, wherein Merck contends that the MFA in Amneal’s product will eventually convert to MFM (Mometasone furoate monohydrate). MFA and MFM are polymorphs. MFM differs from MFA in that every molecule of MFM is associated with a molecule of water, whereas no water is present in the crystal lattice structure of MFA. Amneal produced several samples of finished product form containing MFA and produced samples of its ANDA product to Merck (Batch 16001 Day 1 samples). He added an amount of MFM equal to the amount of MFA in one of the sample bottles from the Exhibit Batches and subjected the bottle to vigorous shaking at 500 RPM. After 27 days, all of the MFA had converted to MFM. He explained that shaking “increase[s] mass transport” to help the conversion from the “less stable form to the more stable form” and “break up the viscosity” of the suspension. Merck’s expert Dr. Bernhardt Trout stated that it is “very difficult to make predictions” on how mixing would affect a specific system, and “to verify in a given sample whether there was conversion, it needs to be tested empirically. Raman spectroscopy is a vibrational spectroscopy technique, which looks at the way a molecule vibrates in a crystal. Amneal’s expert, Dr. Brian Marquardt disagree with Dr. Matzger conclusion about the presence of MFM in Batch 16001 Day 1, and analyzed the Dr. Matzger spectra and opined that a “shoulder peak” indicative of MFA “could be easily misinterpreted … as a peak in that space and be misrepresented as MFM”. He further explained that the spectra show that “this is primarily the MFA form, which is indicated by the secondary doublet and the primary peaks … , which are indicative of both forms and opined that Dr. Matzger misinterpreted the data as MFM.” He concluded that MFM was not present. According to Dr. Matzger a single peak is sufficient to identify MFM in the ANDA product. As per Dr. Marquardt three peaks are generally used to identify a polymorph in an unknown sample. The court concluded (based on expert testimony) that at least three peaks on a spectra must be used to identify material based on accepted practices. Merck offers Dr. Matzger’s testing of Batch 16001 Day 1 as persuasive evidence of MFM in Amneal’s ANDA product. Merck criticizes Dr. Marquardt’s testing, arguing that such testing is insufficient to prove a negative – that MFM is not present in the ANDA product. After the above representation’s of both the parties the court concluded that Dr. Matzger’s testimony and Merck’s related arguments are self-serving, i.e., essentially arguing that Dr. Matzger’s testing is “more and better,” therefore, only his opinion should be believed. The court is not so convinced, and finds Dr. Marquardt’s testimony at least as consistent and credible. Weighing the evidence at bar (lack of MFM in the 16001 Batch Day 1 ), the court concludes that Merck has not carried its burden to prove, by a preponderance of the evidence, that MFM is present in Amneal’s ANDA product during its two-year shelf life. On January 30, 2017, FDA published Paragraph IV patent certifications to the following drugs.